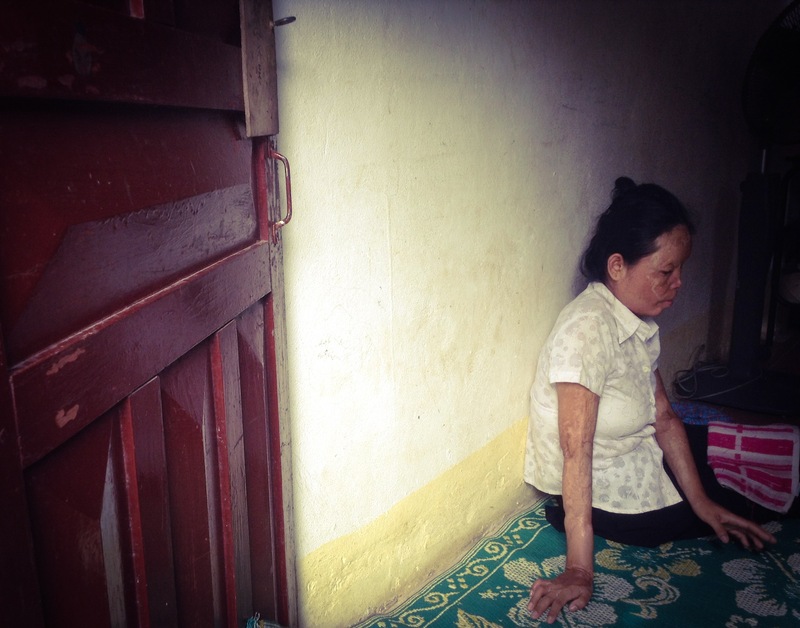 This blog post is written by Erin Bourgois, Project Manager for the Cambodian Acid Survivors Charity (CASC), an organization that was established in order to address both the short and long term needs of acid burn survivors in Cambodia. Prior to working at CASC, Erin worked as a Programmes Manager with Acid Survivors Trust International (ASTI) aimed at preventing acid violence internationally and strengthening support to survivors through partner organizations in Bangladesh, Cambodia, India, Nepal, Pakistan, and Uganda. On July 21, TM was attacked with acid while eating noodles with her husband in a crowded market in Poipet. The perpetrator escaped, and while identified, has not been apprehended by the police. TM suffered severe burns to 20% of her body and was rushed to a local hospital for treatment. This marks the second acid attack recorded by the Cambodian Acid Survivors Charity (CASC) in 2014. Acid attacks are one of the most horrific forms of violence leaving victims physically and emotionally scarred for life. Survivors need long-term treatment on multiple levels to help rehabilitate and heal. CASC was established in 2006 to help address the medical, psychosocial, and legal needs of acid burn survivors while working to prevent acid violence in Cambodia. Since its inception, CASC has been recording statistics of acid burn incidents in Cambodia. As with other countries where acid violence occurs, many cases go unreported for a variety of reasons. Victims fear retribution from their perpetrators if they report the attack. There is a general lack of confidence and trust in the police. Perceptions of corruption and impunity in the judiciary prevent victims from coming forward and filing cases. Survivors lack the resources to pay for their treatment and are unaware of services available to them.